It’s a new year, so why not try new things? Now is the perfect time to try Chuck E. Cheese’s brand new Pretzel Dippers with delicious cheesy dipping sauce, at Chuck E. Cheese’s restaurants nationwide. Pretzel Dippers will only be available until March 31, so don’t miss the chance to get your hands on these salty, cheesy treats before they’re gone. 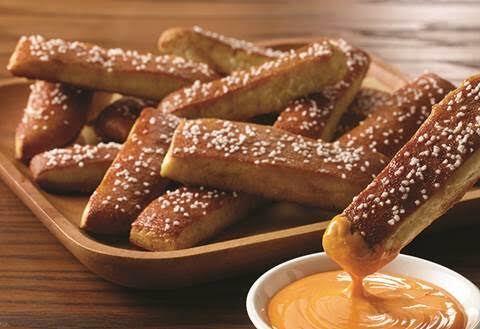 Balance out Pretzel Dippers’ savory flavor with something sweet, like Chuck E. Cheese’s churros with white chocolate and salted caramel dipping sauces. Stay tuned! SoCal City Kids will be reviewing Chuck E. Cheese in the near future!